A new kind of existential threat strikes the X-men, but it has little to do with hatred, fear, or killer robots. Revitalizing the X-men is akin to Tony Stark building a new set of armor. Some may see it as Sisyphus-like obsession, constantly attempting to bring something new and fresh to a series that has been reinvented multiple times over the course of five decades. 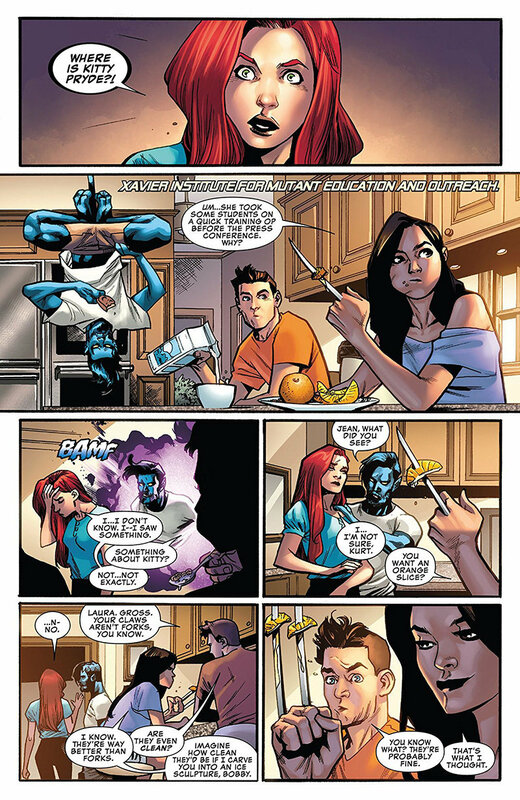 In principle, however, the X-men embody themes that require a certain level of revitalization. It doesn't just keep the stories fresh. It ties their struggles to contemporary issues. The X-men can't operate like they did in 1963 while remaining culturally relevant in 2018. Issues surrounding the struggle of marginalized minorities are still as pressing as they were when the original five X-men debuted, but the circumstances constantly change with every passing era. 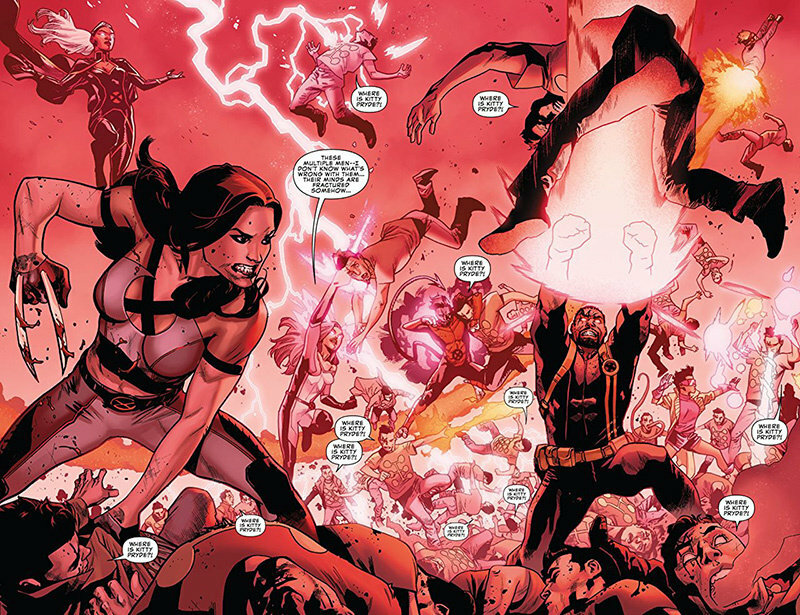 The era that Cullen Bunn finished during his run on Uncanny X-men in 2017 centers around survival in a world where mutants aren't just hated and feared, they're pushed aside and willingly erased from the culture. Whether it was due to narrative shifts or conflicts surrounding the movie rights, the biggest challenge for the X-men in recent years has been reestablishing their relevance in the greater Marvel universe. In the pages of X-men Red, X-men Gold, and X-men Blue, they make progress while enduring setbacks. The return of Uncanny X-men #1 promises to take a bold leap that requires every current X-men team to unite. Matthew Rosenberg, Ed Brisson, and Kelly Thompson join forces with R.B. Silva, Mahmud Asrar, and Yildiray Cinar to create an all-star creative cast to put mutants into an all-or-nothing scenario that feels familiar, but throws in some intriguing twists. There are elements from classic X-men stories like Chris Claremont's Days of Future Past [YEAR] and Joss Whdeon's Gifted [YEAR] but the similarities never go beyond the surface features. 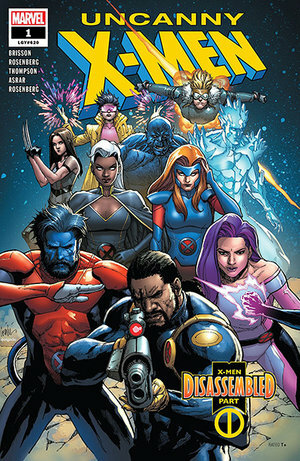 Once the action starts and fastball specials start flying, Uncanny X-men #1 quickly becomes its own things. There are a lot of moving parts to the story. There are mysteries that take the X-men from the Kalahari Desert to Morrisville, North Carolina. Initially, there's not a lot of connective tissue between these sub-plots, but that changes once planes start crashing and people start randomly teleporting away. The underlying catalyst for this chaos eventually converges around the idea of a vaccine being created for mutants. It's not framed as a cure, however. It's not even presented in the context of anti-mutant bigotry. The man promoting this vaccine, Senator Ashton Allen, says that mutants are "innocent victims" in need of "treatment". He's not Graydon Creed or Reverend William Stryker promoting mutant extermination. He presents this effort as an attempt to prevent mutant children from becoming dangers to themselves or others. This kind of rhetoric isn't the same blind hatred that the X-men have been dealing with since the Kennedy Administration. It doesn't even qualify as hatred, on some levels. Senator Allen isn't demanding that mutants submit themselves for registration or surrender their civil liberties. He doesn't even call anyone a "mutie" or a "freak". He's just promoting something that he believes will alleviate suffering. For the X-men, combating this message is harder than fighting a billion Sentinels. From their perspective, Senator Allen is promoting something that will eventually lead to the extermination of the mutant race. It's no different than creating a vaccine against homosexuality, transsexualism, or people with red hair. Throughout history, mutants are framed as a disease or an affliction upon society. Mutants like Glob Herman, Anole, and Nightcrawler can't hide what they are. Even those who can, their powers can be an immense burden. Rogue's powers prevent her from touching. Cyclops' powers require him to wear ruby quartz glasses. Who wouldn't want to save people from such burdens? That daunting question is asked, but not answered. Characters like Angel and Jubilee make their sentiments clear. However, they don't get a chance to debate Senator Allen and for once, it's not because giant robots attack. Instead, it's Multiple Man who disrupts the debate. He's not there as an assassin or a heckler. He claims he's there to save the Senator. Unfortunately, he does so while in such an erratic state that the X-men have to fight him and his duplicates off. While it doesn't ignore the issues raised by the prospect of a mutant vaccine, it does complicate the discussion. From there, the narrative deviates further from the familiar. It soon becomes clear Senator Allen isn't the only target. Among those abducted include other notable X-men and major enemies of the X-men. With every revelation, the outcome becomes less predictable. Even though the themes are so familiar for long-time X-men readers, there's a sense that this is something very different. Moreover, it feels like something that attacks the X-men's identity and vision in an entirely new way. It's not a generic heroes versus villains plot. Throughout their history, the X-men set themselves apart by fighting battles that don't just involve stopping alien space gods from destroying the planet. They're a hated and feared minority trying to co-exist in a dangerous world, but if this vaccine that Senator Allen promotes is effective, their worldview changes. Who they are and what they do is truly disassembled in a very literal sense. Uncanny X-men #1 puts the X-men in an existential crisis that's similar to what they've endured in the past, but with far more complications. There are a lot of issues to air out, but they never get a chance to do so because of other mysterious complications entering the picture. There are a lot of unanswered questions and for once, the answers aren't as clear as standing against the side more likely to support internment camps. In addition to a story that may very well change the identity of the X-men forever, Uncanny X-men #1 also comes with a glut of bonus content that helps justify its $7.99 price tag. There are several side-stories that involve Bishop, Jean Grey, Storm, Armor, and Anole. While these stories don't directly influence the main plot, they offer a solid prologue that gives further weight to the events that transpire. There are few superhero teams in the history of superhero comics that have been as socially relevant as the X-men. Who they are and what they represent helps them resonate with anyone who has ever felt like an outsider. 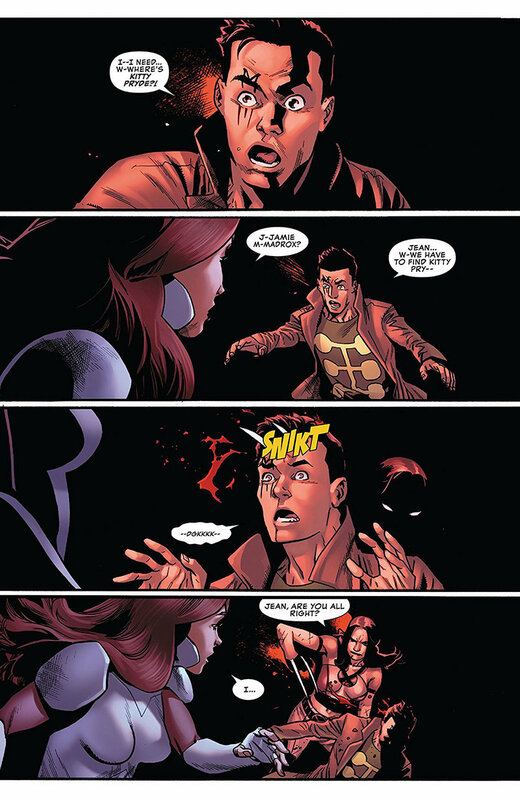 Uncanny X-men #1 reaffirms just how relevant the X-men are, but also demonstrates just how much the world is changing. For the first time in their history, it may even get to a point where the X-men's struggle fails and not because of fear or hatred.